Bob Evans Farms, Inc., is proud to announce its commitment to support America’s active duty, veterans, and their families with the launch of its “Our Farm Salutes” campaign. 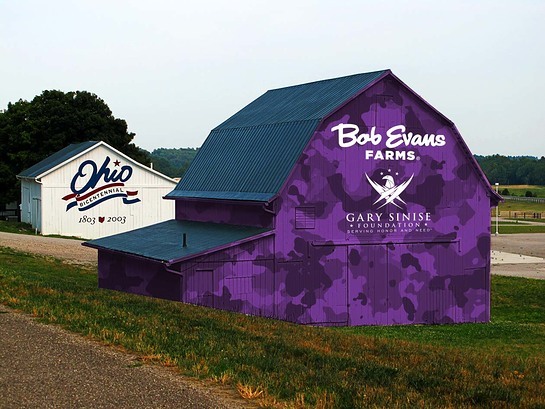 As part of the program, Bob Evans Farms has painted its iconic barn purple, a color that represents every branch of service, and is donating $200,000 as well as thousands of meals to support the Gary Sinise Foundation's (GSF) Serving Heroes program, an initiative that provides meals to active duty, veterans, and their families as a way of showing gratitude for their service and sacrifice. As part of the “Our Farms Salutes” campaign, Bob Evans Farms is urging all Americans to join them in going purple this summer to show gratitude to those that serve. By visiting OurFarmSalutes.com, the public can share a message of support or make a donation to help support the Gary Sinise Foundation’s Serving Heroes program. Throughout 2016, in partnership with the Gary Sinise Foundation and its Serving Heroes program, Bob Evans Farms, Inc. will serve over 6,000 meals to military heroes and their families at military bases, USO centers and VAs across the country at Serving Heroes events. 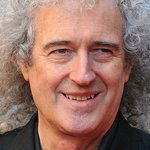 In addition, Bob Evans will share a series of broadcast television and radio public service announcements featuring Gary Sinise in support of the Foundation’s Serving Heroes program. Designed by ‘The Barn Artist,’ Scott Hagan and Columbus artist David Browning, the newly painted Bob Evans barn features a mural honoring current and past members of the Air Force, Army, Navy, Marines, Coast Guard and the Merchant Marines. The painting took a total of 11 days, 176 man-hours and 30 gallons of paint to complete and will remain on the building through Veteran’s Day. For more information on the “Our Farm Salutes” campaign, look for the purple packaging on Bob Evans packaged foods products in your local grocery store, or please visit www.OurFarmSalutes.com.